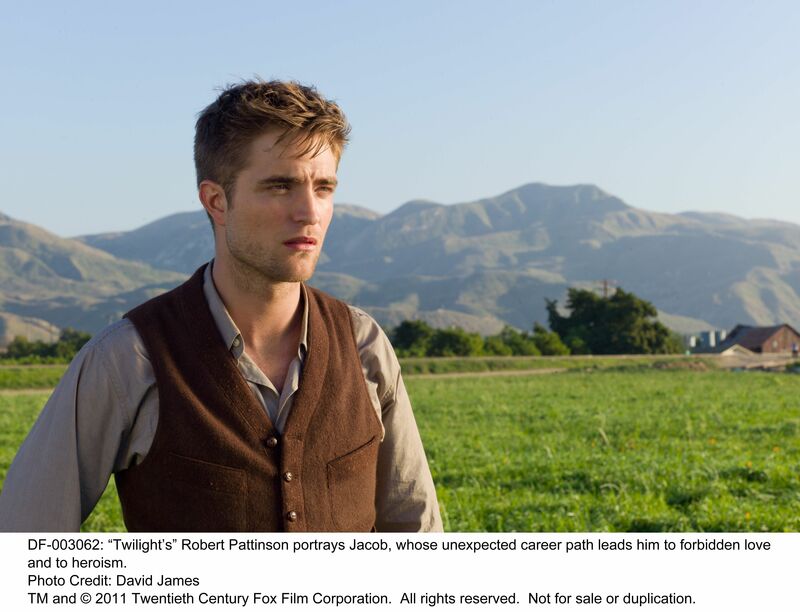 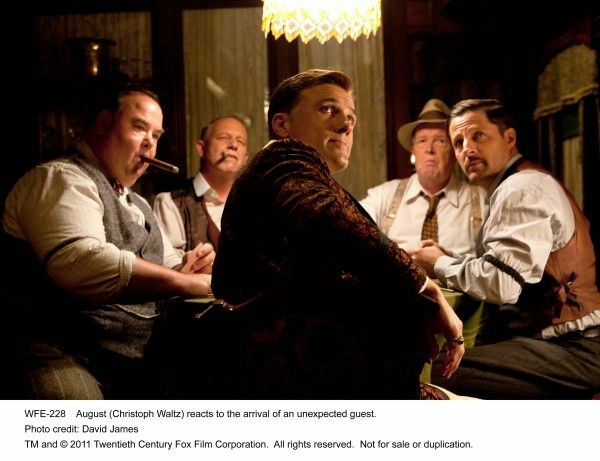 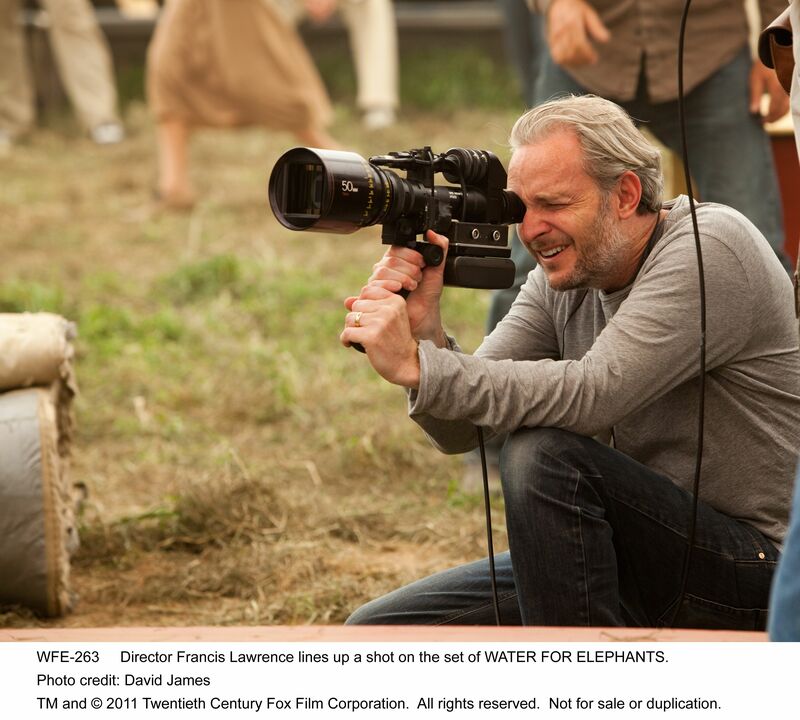 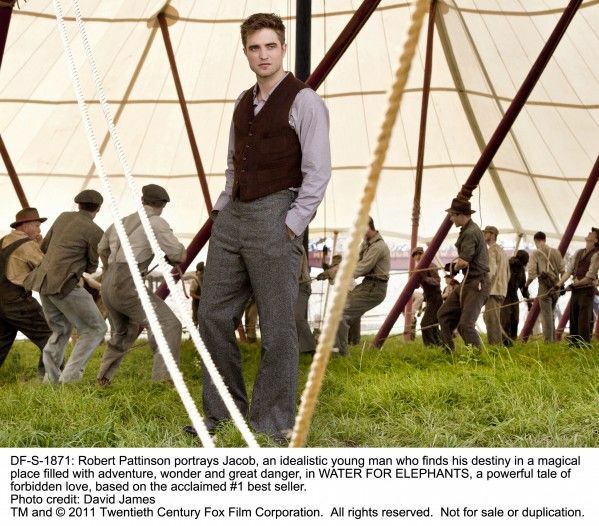 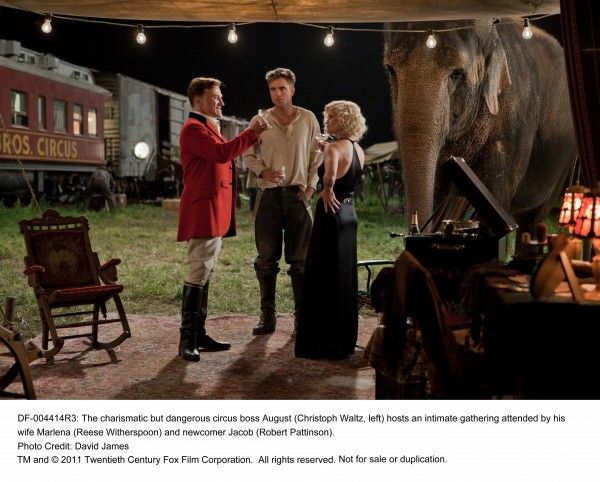 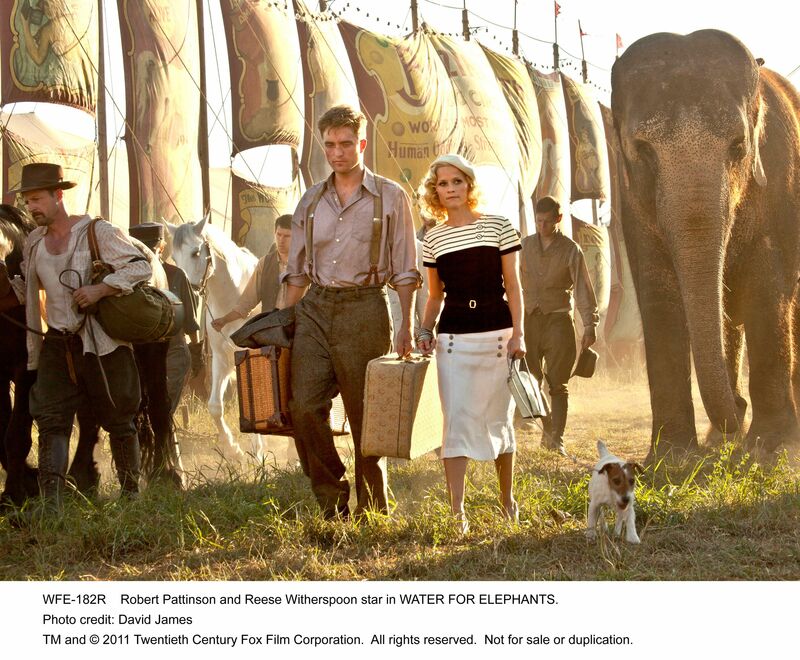 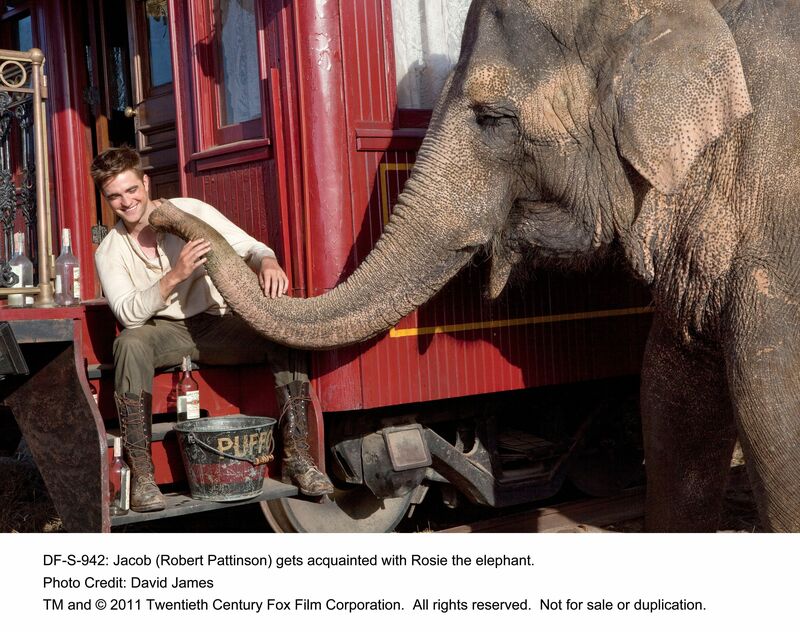 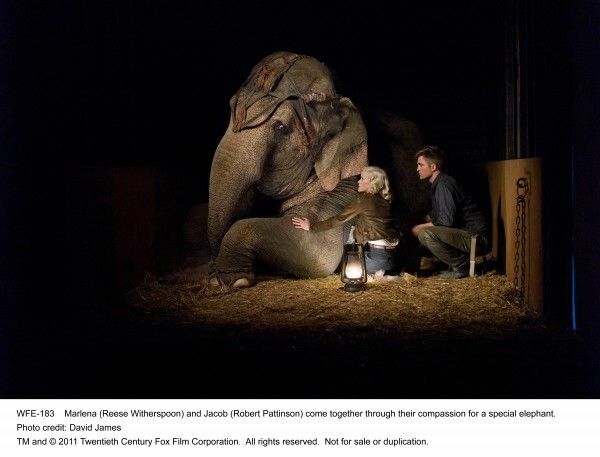 Based on the acclaimed bestseller, Water for Elephants presents an unexpected romance in a uniquely compelling setting. 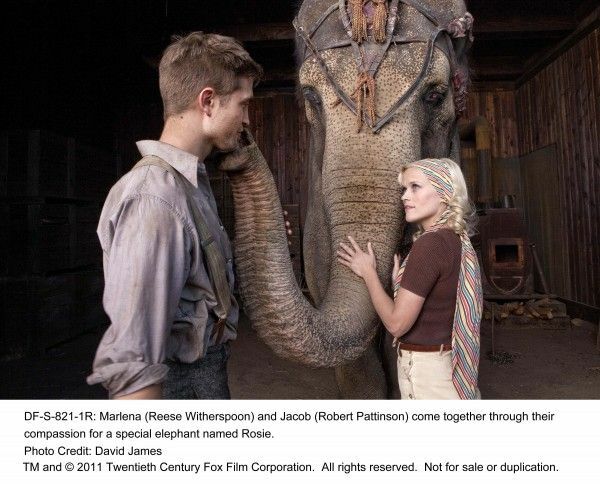 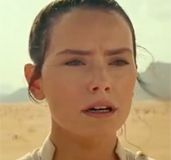 Veterinary school student Jacob (Pattinson) meets and falls in love with Marlena (Witherspoon), a star performer in a circus of a bygone era. 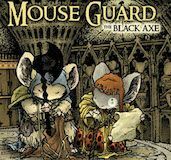 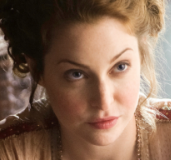 They discover beauty amidst the world of the Big Top, and come together through their compassion for a special elephant. Against all odds — including the wrath of Marlena’s charismatic but dangerous husband, August (Waltz) — Jacob and Marlena find lifelong love. Hit the jump to check out the clips and 17 images. Water for Elephants opens April 22nd.